Greetings, and welcome to NYCal on the Internet! NYCal, the Premier Invention Marketing Company, announces the Grand Opening of our Website. Leave a message or give us a call on our toll-free line, either way we would love to hear from you. NYCal Incorporated specializes in representing patent holders and inventors to industry and the world markets. As experts in the field of marketing licensable products, NYCal's marketing professionals, technical consultants, engineers, and attorneys work for you on contingency only. We do not accept a fee until the licensing deal with your product is completed to your liking. We have the resources and capability to expose your idea to manufacturers worldwide and the legal expertise to handle the resulting licenses. Our Website highlights "The NYCal News", our monthly newsletter featuring valuable information for all individuals involved in industry, marketers, manufacturers, and patent holders regarding all aspects of the patent industry. 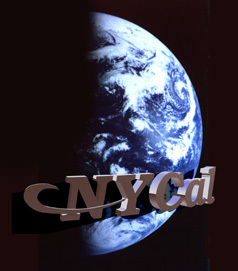 In addition, NYCal will be providing an on-line catalog of products available for license that will be updated periodically. NYCal will also offer a version of the Product Catalog on CD-ROM to select manufacturers and marketers.